When a crisis occurs anywhere in Oceana County, Emergency Management officials must be able to reach residents with warnings, information, and updates. In order to ensure that residents can be contacted quickly and effectively, the County has begun using the CodeRED Emergency Notification System, which gives Emergency Management the ability to call thousands of residents within minutes. 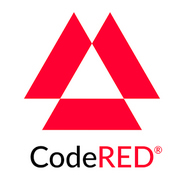 The CodeRED Emergency Notification System will allow Public Safety and Emergency Management to record and send a message to telephone numbers throughout Oceana County within a matter of minutes. Whether residents need to be informed of a water main break, approaching storm, or other crisis, this notification system is an efficient way to reach them with the news. Registration for cell phone, email, text, and other phone services is available. For more information about the CodeRED Emergency Notification System, please read the CodeRED Frequently Asked Questions. Please call (231) 873-4473 or email emergencymanagement@oceana.mi.us if you are having trouble with your registration.